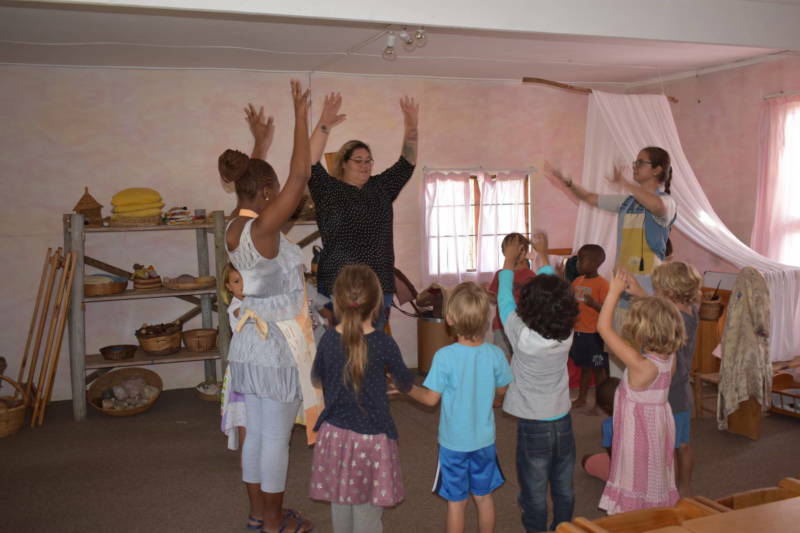 It’s all in a hard day’s play at Stellenbosch Waldorf School for lucky little ones aged three to six years old. Here, all activities are centered and focused on the child. 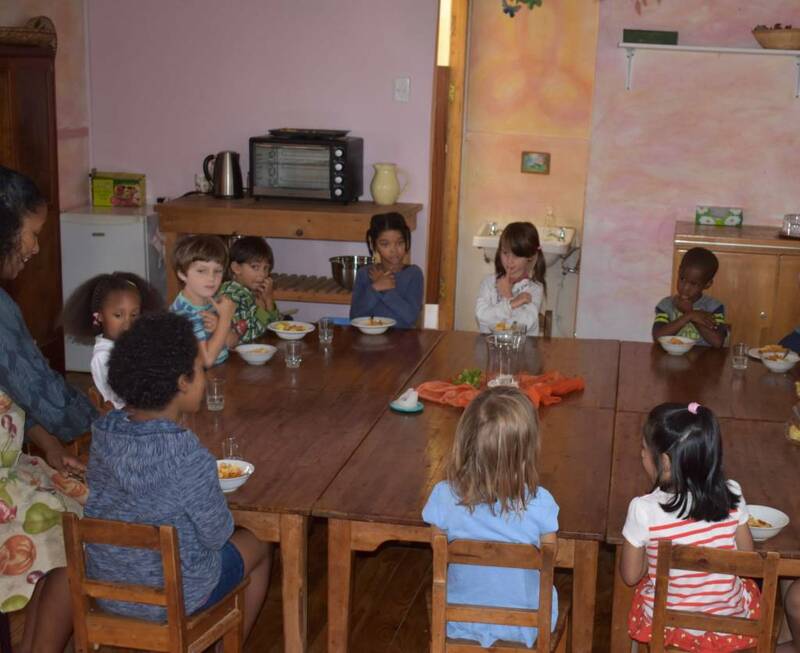 Mealtimes are reverent occasions where children assist with preparations, for example; by taking turns to pick fresh produce in the school’s garden, walking to the local organic shop to fetch freshly baked bread or to cut up fruit. A different grain is served with brunch everyday including “Matajala” as my own little one Isabella used to tell me only for me to discover later that it was actually Maltabella she was referring to! No food with preservatives, sugar and colourants are served here (and please do not pack it into your child’s lunchbox either!). You can typically expect your little one to feel right at home as the school’s Playgroup and Kindergarten faculty provides a really warm, loving and homely environment, which makes for a gentler transition from home-life to rhythmical routine within a social group at school. Play is regarded as central to enrich the child’s innate learning through imitation and to attend to the developing child. Play comprises of activities including free play in a beautiful and green environment, plenty of story time, thoughtful birthday celebrations, circle games and regular festivals. More importantly, all activities and every aspect of the child’s day including a magical environment, special equipment formed and fashioned from natural materials and the rhythmical activities they partake in, are all planned so that the child may experience the natural world around them and benefit from starting their learning journey in a child centered way. However, what I appreciate most is the manner in which the teachers interact and set an example for the children to follow both respectfully and lovingly, yet with healthy boundaries. The result is golden children who learn about social interaction, co-operation, leadership and problem solving, whilst developing a sense of social responsibility and respect towards all others. My daughter often told me that her school is full of wonder and a magical space where she developed a true love for learning and getting up to go to school! 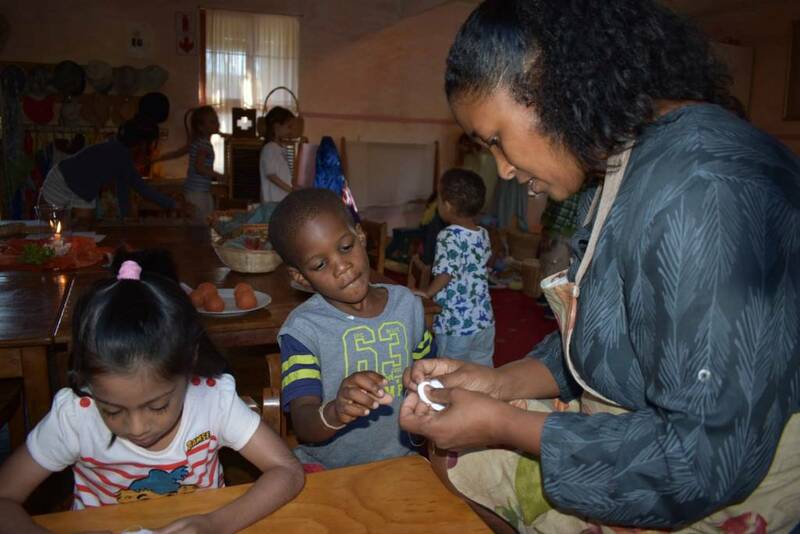 I think that this experience held by many little ones and many parents alike is achieved by an environment filled with beauty and richness but also by the love and care offered by the special people that teach in the Playgroup and Kindergarten faculty. The Waldorf curriculum also achieves the outcomes of the government’s CAPS requirements, but goes even further to suit the children’s needs and the seasons, creating whole human beings, familiar with feeling whole, achieving outcomes and contributing positively to their community. 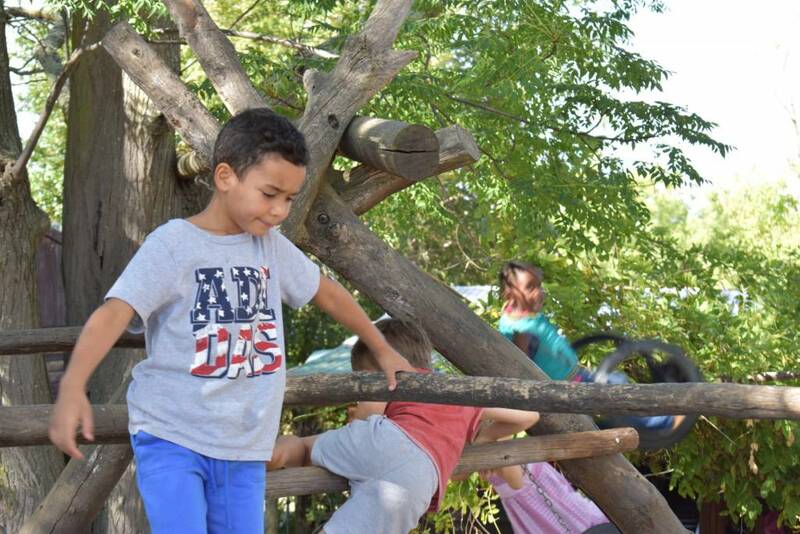 For a taste of this experience, pop around at the Playgroup and Kindergarten Open Day on Saturday 17 March 2018.